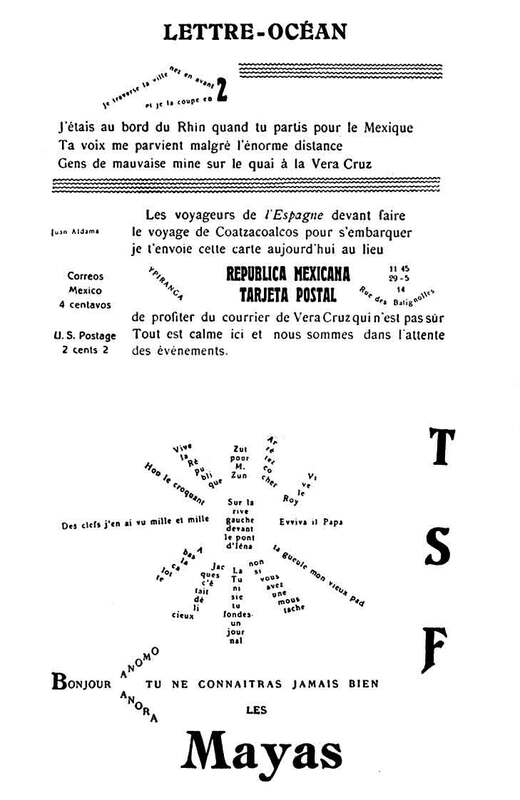 A relay for composing an EmerAgency egents report, to exhibit in the Museum of Accidents, is the movement of concrete and visual poetries in general, and Apollinaire in particular. 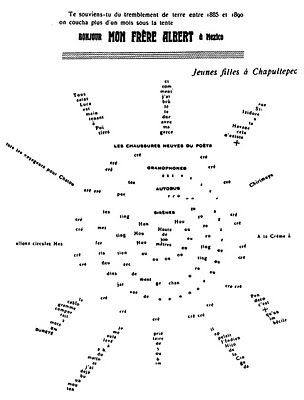 Apollinaire is one of the inventors of the poetics of the Paris vanguard, being responsible for naming and defining some of the most important inventions, thus contributing importantly to electrate image metaphysics. 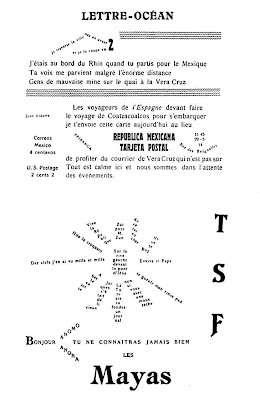 The visual poem "Lettre-Ocean" (referring to a type of post, the overseas letter) prepared the way for his Calligrammes. 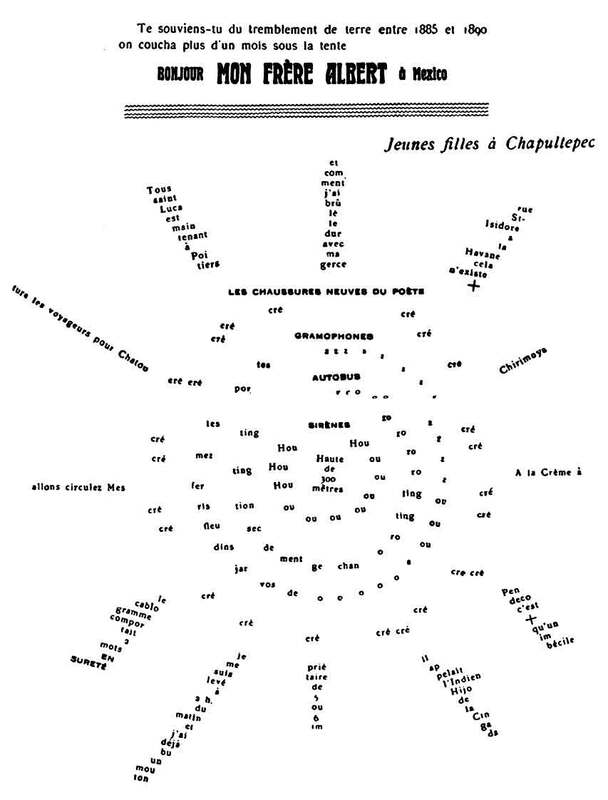 This use of layout, replacing textual syntax with schema and diagram, is suggestive for our experiment with Prezi figures.